A set of simple steps that promote heart health, called Life’s Simple 7, can also foster ideal brain health, an expert panel says. Improving your health status with Life’s Simple 7 may reduce the risk of dementia caused by strokes, vascular dementia and Alzheimer’s disease. DALLAS, September 7, 2017 — A healthy lifestyle benefits your brain as much as the rest of your body -- and may lessen the risk of cognitive decline (a loss of the ability to think well) as you age, according to a new advisory from the American Heart Association/American Stroke Association. Both the heart and brain need adequate blood flow, but in many people, blood vessels slowly become narrowed or blocked over the course of their life, a disease process known as atherosclerosis, the cause of many heart attacks and strokes. Many risk factors for atherosclerosis can be modified by following a healthy diet, getting enough physical activity, avoiding tobacco products and other strategies. “Research summarized in the advisory convincingly demonstrates that the same risk factors that cause atherosclerosis, are also major contributors to late-life cognitive impairment and Alzheimer’s disease. By following seven simple steps — Life's Simple 7 — not only can we prevent heart attack and stroke, we may also be able to prevent cognitive impairment,” said vascular neurologist Philip Gorelick, M.D., M.P.H., the chair of the advisory’s writing group and executive medical director of Mercy Health Hauenstein Neurosciences in Grand Rapids, Michigan. Life’s Simple 7 outlines a set of health factors developed by the American Heart Association to define and promote cardiovascular wellness. Studies show that these seven factors may also help foster ideal brain health in adults. A healthy brain is defined as one that can pay attention, receive and recognize information from our senses; learn and remember; communicate; solve problems and make decisions; support mobility and regulate emotions. Cognitive impairment can affect any or all of those functions. Elevations of blood pressure, cholesterol and blood sugar can cause impairment of the large and smaller blood vessels, launching a cascade of complications that reduce brain blood flow. For example, high blood pressure — which affects about 1 in 3 U.S. adults — is known to damage blood vessels that supply oxygen and nutrients to the heart and the brain, Gorelick noted. The damage can lead to a buildup of fatty deposits, or atherosclerosis as well as associated clotting. This narrows the vessels, can reduce blood flow to the brain, and can cause stroke or “mini-strokes.” The resulting mental decline is called vascular cognitive impairment, or vascular dementia. Previously, experts believed problems with thinking caused by Alzheimer’s disease and other, similar conditions were entirely separate from stroke, but “over time we have learned that the same risk factors for stroke that are referred to in Life’s Simple 7 are also risk factors for Alzheimer’s disease and possibly for some of the other neurodegenerative disorders,” Gorelick said. The advisory also recognizes that it is important to follow previously published guidance from the American Heart Association, Institute of Medicine and Alzheimer's Association, which include controlling cardiovascular risks and suggest social engagement and other related strategies for maintaining brain health. The action items from Life’s Simple 7, which are based on findings from multiple scientific studies, meet three practical rules the panel developed in pinpointing ways to improve brain health — that they could be measured, modified and monitored, Gorelick said. Those three criteria make it possible to translate knowledge into action because healthcare providers can assess Life’s Simple 7 elements -- like blood pressure -- easily; they can encourage proven, health-promoting steps and they can gauge changes over time. The AHA advisory provides a foundation on which to build a broader definition of brain health that includes other influential factors, Gorelick said, such as the presence of atrial fibrillation, a type of irregular heartbeat that has been linked to cognitive problems; education and literacy; social and economic status; the geographic region where a person lives; other brain diseases and head injuries. 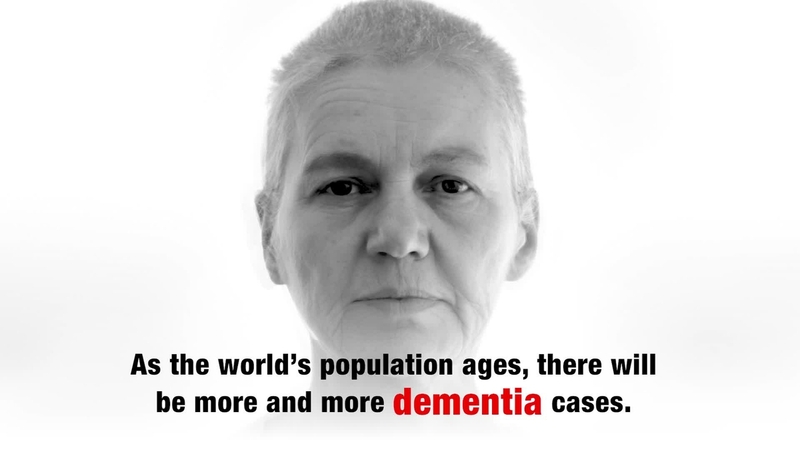 Dementia is costly to treat. Direct care expenses are higher than for cancer and about the same for heart disease, estimates show. Plus, the value of unpaid caregiving for dementia patients may exceed $200 billion a year. As lives stretch longer in the U.S. and elsewhere, about 75 million people worldwide could have dementia by 2030, according to the advisory. “Policy makers will need to allocate healthcare resources for this,” Gorelick said. Monitoring rates of dementia in places where public health efforts are improving heart health “could provide important information about the success of such an approach and the future need for healthcare resources for the elderly,” he said. The authors of the advisory reviewed 182 published scientific studies to formulate their conclusions that following Life’s Simple 7 has the potential to help people maintain a healthy brain throughout life. Co-authors are Karen L. Furie, M.D., M.P.H. (co-chair); Costantino Iadecola, M.D. (co-chair); Eric E. Smith, M.D., M.P.H. ; Salina P. Waddy, M.D. ; Donald M. Lloyd-Jones, M.D., Sc.M. ; Hee-Joon Bae, M.D., Ph.D.; Mary Ann Bauman, M.D. ; Martin Dichgans, M.D. ; Pamela W. Duncan, Ph.D.; Meighan Girgus, M.B.A.; Virginia J. Howard, Ph.D.; Ronald M. Lazar, Ph.D.; Sudha Seshadri, M.D. ; Fernando D. Testai, M.D., Ph.D., M.S. ; Stephen van Gaal, M.D. ; Kristine Yaffe, M.D. ; Hank Wasiak, M.B.A.; and Charlotte Zerna, M.D., M.Sc., on behalf of the American Heart Association/American Stroke Association. Author disclosures are on the manuscript. After embargo on September 7, 2017, view the manuscript online and visit www.heart.org/brainhealth for more information. The American Heart Association/American Stroke Association receives funding mostly from individuals. Foundations and corporations donate as well, and fund specific programs and events. Strict policies are enforced to prevent these relationships from influencing the association’s science content. Financial information for the American Heart Association, including a list of contributions from pharmaceutical and device manufacturers and health insurance providers are available at www.heart.org/corporatefunding. Video with music and text graphics. American Heart Association/American Stroke Association spokesperson, Philip B. Gorelick, MD MPH FAHA, explains what may lead to cognitive decline and recommends early intervention. 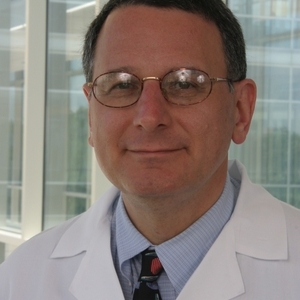 Dr. Gorelick is a professor, Translational Science and Molecular Medicine, Michigan State University College of Human Medicine and executive medical director, Mercy Health Hauenstein Neurosciences. American Heart Association/American Stroke Association spokesperson, Philip B. Gorelick, MD MPH FAHA, explains Life’s Simple 7 as a way to maintain brain health. Video on Brain Health for linking or embedding.